Image courtesy Rcbutcher, Wikimedia Commons. 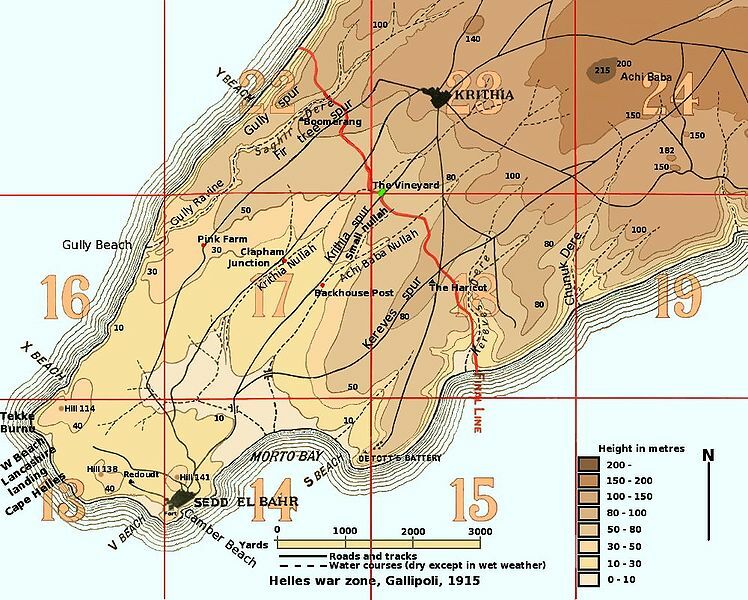 The First Battle of Krithia begins as Allied forces attempt to break through Turkish defenses to take the village of Krithia, 24km south of Anzac Cove. 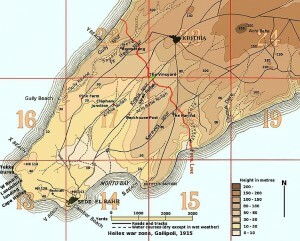 Commander-in-Chief Sir Ian Hamilton plans to consolidate the Allied attack and link up with the remaining force at Anzac Cove. The advance is repelled with heavy loss of life; 3,000 of the 14,000 strong force are killed. The International Congress of Women opens at The Hague. More than 1,200 delegates from 12 countries convene with two objectives: to discuss a peaceful outcome to WWI and to draft a new international legal system to prevent future wars. This entry was posted on April 28th, 2015.